Core Value Pilates offers a weekly classical mat class as well as private and duet sessions to help your body get stronger and leaner. They have been in business since 1997 and came to us needing an updated website to display their services. 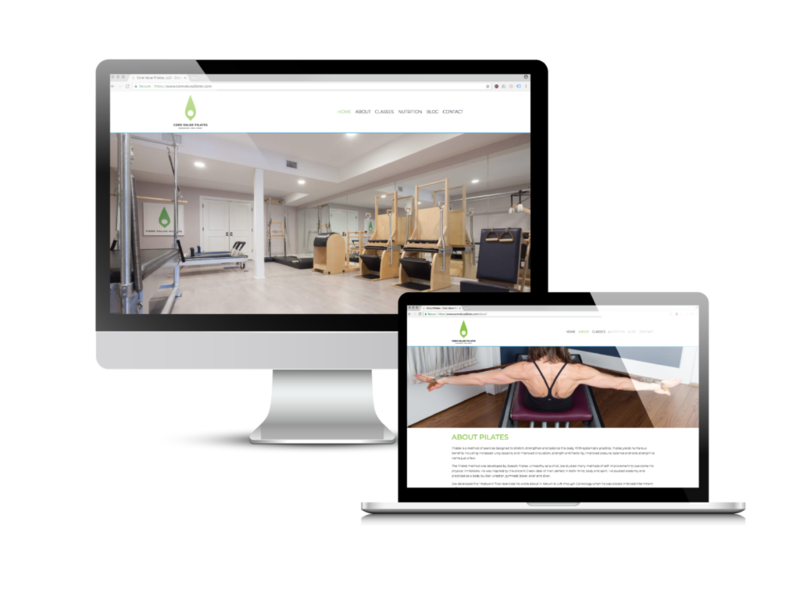 Core Value Pilates was ready to move from their homemade website to a professional website in order to better present all their offerings. Stacy wanted to be proud of her website when it was shared and recommended, not embarrassed. We first went to the studio to take some photos of it and Pilates students in practice. This provided us with good visuals to use on the website. Then, using the already designed logo we translated that look and feel to the website, keeping the design simple and clean. We also provided an area which Stacy can use to easily update with different tips and news items in order to keep the site up-to-date. A clean, simple website Stacy is proud of, that provides visitors with the information they need about the studio.